Around this time last year the cookbook, Food in Jars, was highly recommended to me. I added it to my wishlist on Amazon and ended up getting it for Christmas. I looked through it immediately and flagged a bunch of recipes I wanted to try. And then the cookbook went onto the bookshelf with the other cookbooks and life happened. A month or two ago when the farmers market I visit had out baskets of tomatoes and peppers for canning, I pulled the book back off the shelf and read through it again with a plan that every week I was going to buy mason jars and get some recipes canned. But weekends were busy and I kept running out of time and making excuses to not pick up the mason jars and you can’t exactly get any canning done without the proper jars to put everything in! 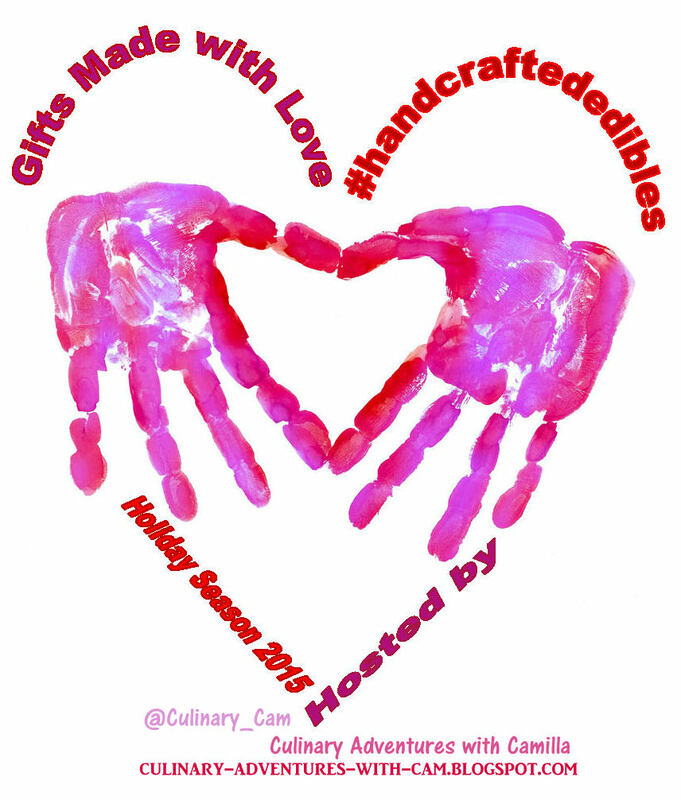 So the cookbook went back on the shelf and then I realized a few weeks ago that I had signed up for the Jellies and Jams week for #handcraftededibles. Looks like I subconsciously forced myself into finally making a recipe from Food in Jars. Better late than never, right? 1. Wash jars and lids in soapy water. Rinse well. 2. Add the jars to a large pot, cover with water and boil for 30 minutes. Place lids in a small saucepan and simmer over very low heat. 3. Meanwhile, peel, core and chop the apples. 4. Add the apples and lemon juice to a large pot. Bring to barely a simmer over medium heat, then reduce to medium low, cooking for 20-30 minutes, or until the apples are soft. Mash with a potato masher to remove large pieces. 5. Add the sugar and honey to the apple-lemon mixture. Increase the heat to medium-high, cover with a splatter shield and bring to a simmer. Cook for 10 minutes or until the mixture has thickened. 6. Remove from the heat and stir in the lemon zest. 7. Remove the jars from the boiling water and use add in the jam, leaving 1/4 inch of head space. 9. Place the filled jars back in the pot they first boiled in and boil for 10 minutes. 10. Transfer jars to a dish towel to cool. The jars will ping and the lids will become concave as the vacuum process takes place. 11. Once the jars have sat for 24 hours, remove the rims and lift the jar by the lid, 2 inches off the counter top. If the lid holds, the jars can be stored for up to a year in a cool, dark place. If it doesn’t hold, refrigerate and eat within 2 weeks. *As you can see from the pictures, I did not use pint sized jars. Mainly because for some reason I scribbled down jelly jars on my grocery list and then managed to pick up 4 and 8 ounce jars but not the actual ones I need. Now that I’ve finally canned something, expect to see more recipes in the future. It was a lot easier and less intimidating than I thought! 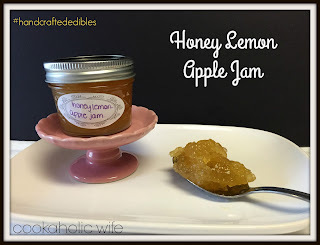 Despite the name, I figured this would be an apple jam with a lemon tartness to it. It’s actually quite the opposite, as the name suggests. 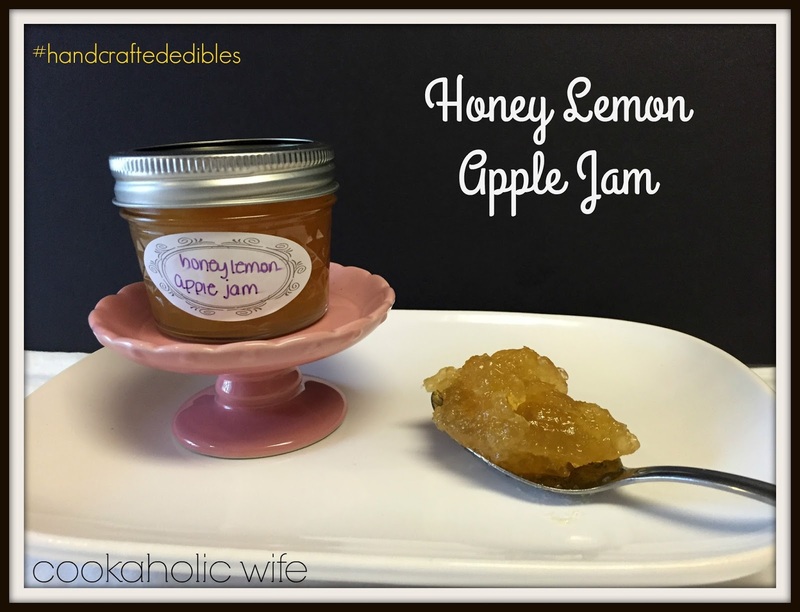 The lemon flavor is strong but is sweetened up quite a bit with the honey and apples. 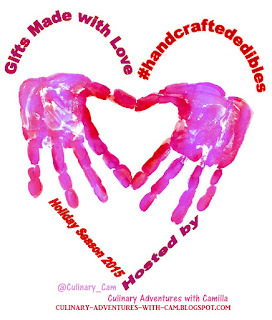 In an effort to make all of her holiday gifts this year, Camilla at Culinary Adventures with Camilla invited some of her favorite foodie bloggers to share recipes for hand-crafted edibles. Over the course of twelve weeks, we’ll be sharing recipes for all your homemade holiday gifts. Hope you’ll follow along for inspiration. You can find out more information, including the schedule: here. 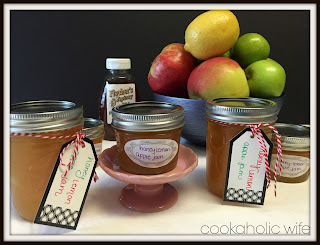 This week, we’re sharing recipes for delicious jams and jellies. I might have to get that book! Thanks for posting, Nichole. I have all the ingredients for this in my refrigerator and pantry. Thanks for sharing. That sounds so good! Sweet, but not too sweet – just how I like my jam! Sounds delicious – glad you finally got to start canning!